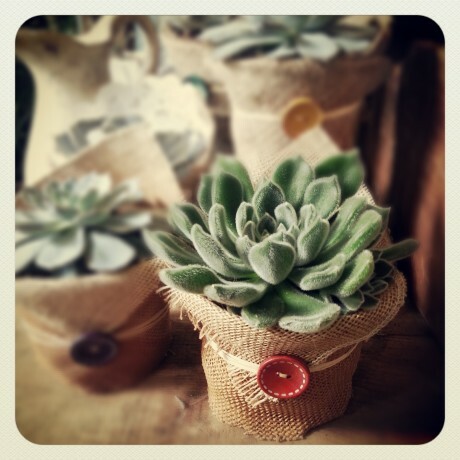 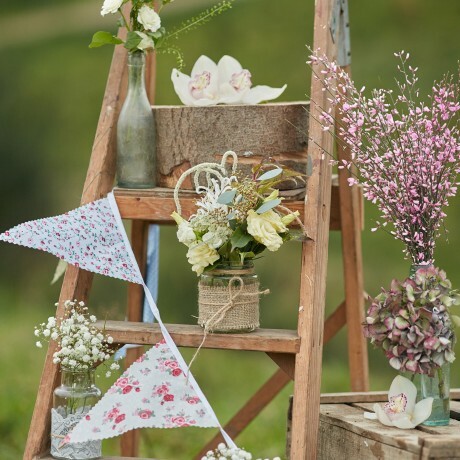 Why not hire some amazing props from Pick a Lily for your day. 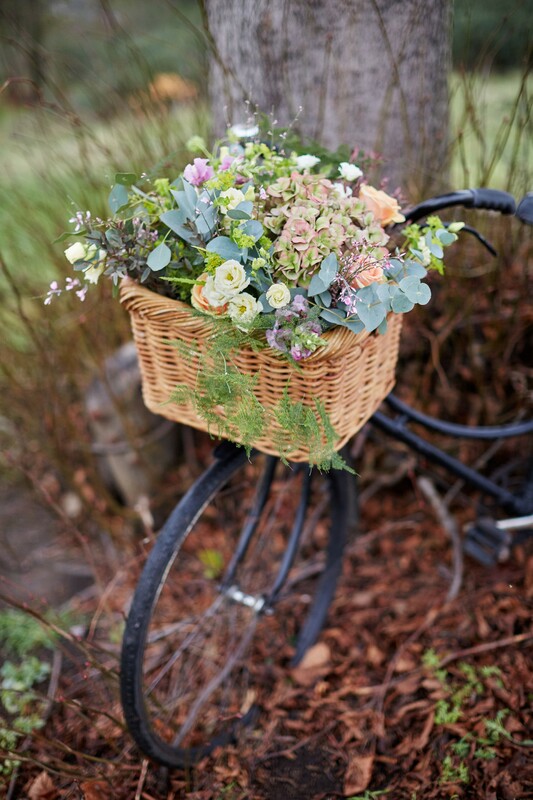 From the smallest of doilies through to our beautiful vintage bicycle, laden with flowers. 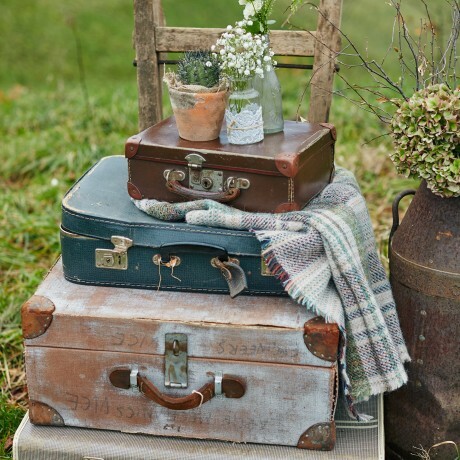 Or our rustic railway luggage barrow piled high with old-fashioned cases to name but a few! 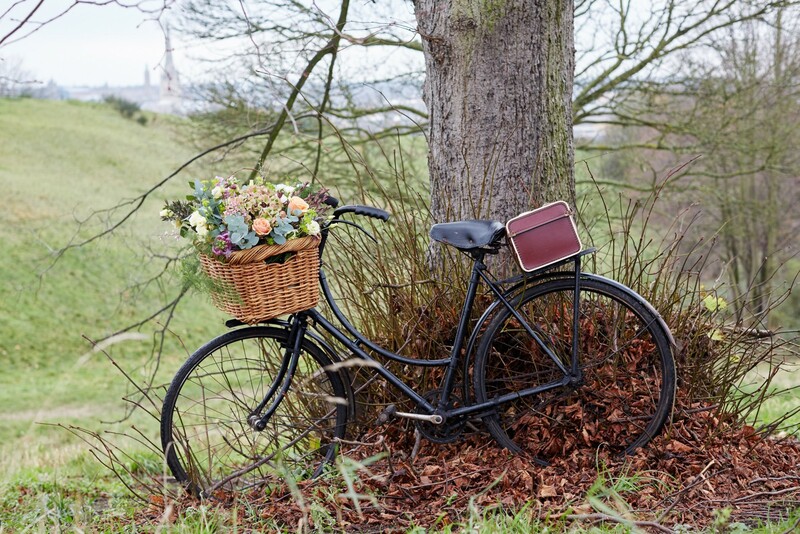 All our items available to borrow can be used as you wish but we can discuss lots of innovative ways of using them to suit your day. 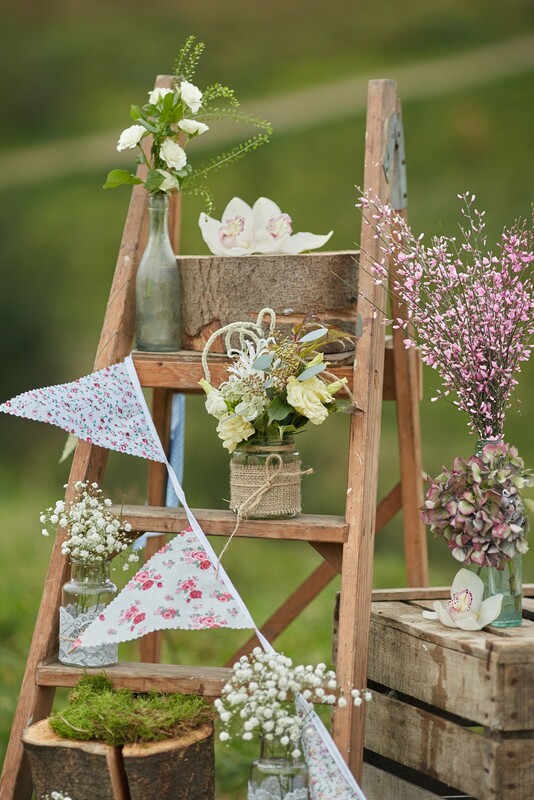 Our vintage Step Ladder can be hired on its own as a possible table plan idea or stacked with beautiful Jars of blooms. 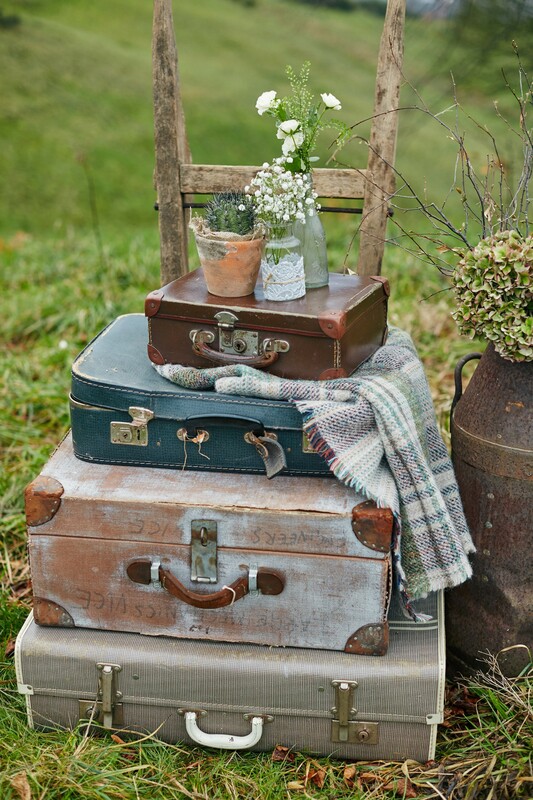 Laden with old fashioned cases or used as a table plan prop or cake stand. 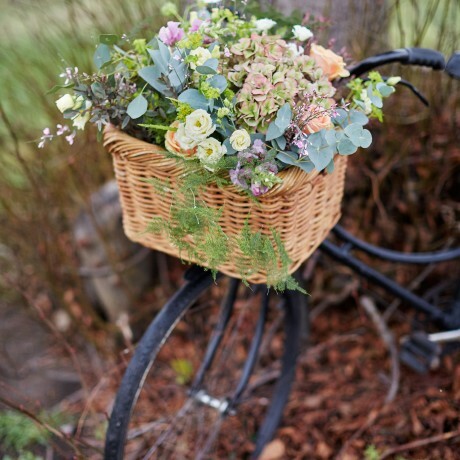 A basket overflowing with blooms matching your wedding theme, nestled on the front of our vintage bike. 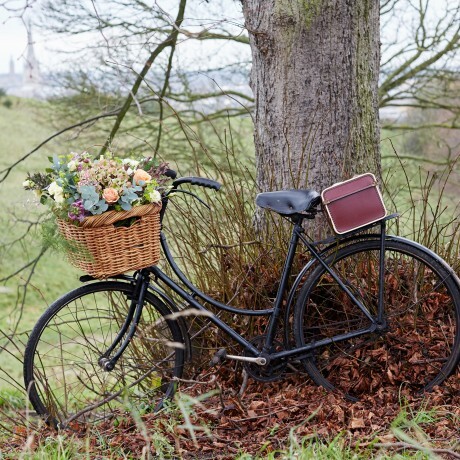 'Betty' the vintage bicycle can be borrowed as she stands or decorated to tie in with your wedding style.